STENA LINE MAKES WAVES WITH PRICE MATCH GUARANTEE! 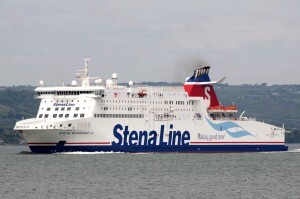 LEADING ferry company Stena Line is offering customers a fantastic travel deal on their Belfast – Cairnryan route. From only £189* for a three day return trip, for a car and up to five people, can travel between September 1 – October 31, when booked by September 30. A staggering 50% off! Now the ferry giant is making waves with its price match guarantee promising customers that if they find a cheaper equivalent fare to Scotland before September 14, Stena Line will match it – GUARANTEED, for travel up until October 6. So for a great-value getaway for the whole family – book today! For further information or to book, click on www.stenaline.co.uk, call 08447 70 70 70 or visit your local travel agent.